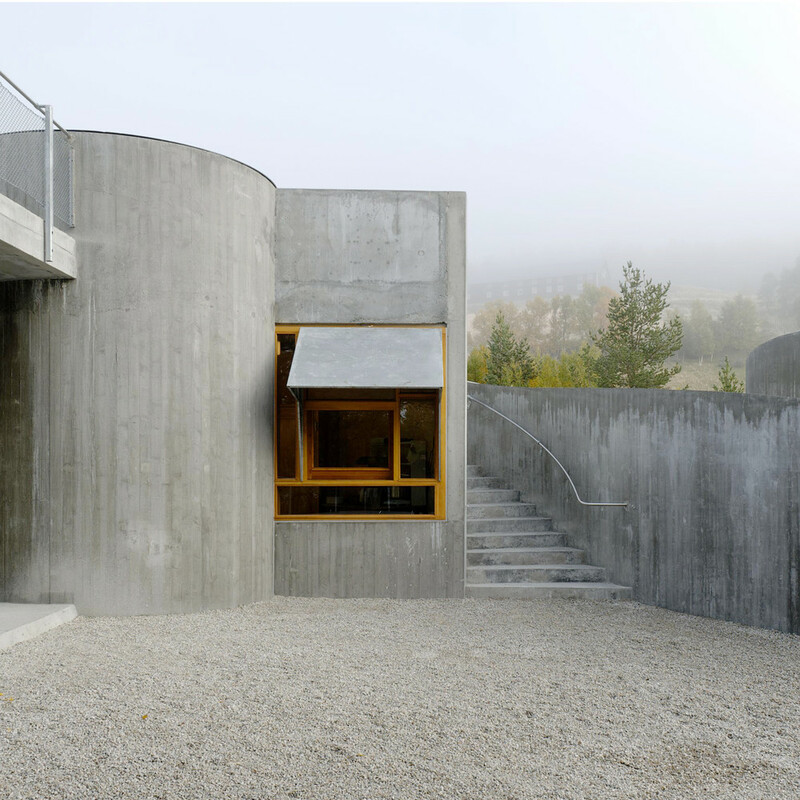 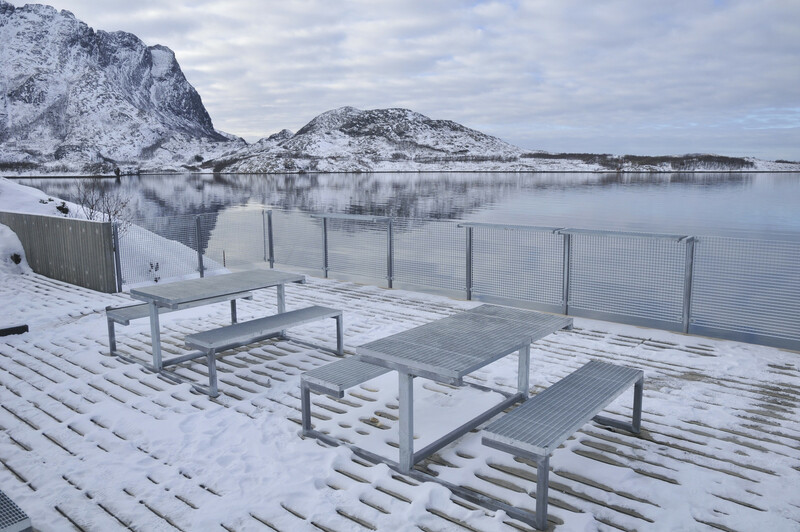 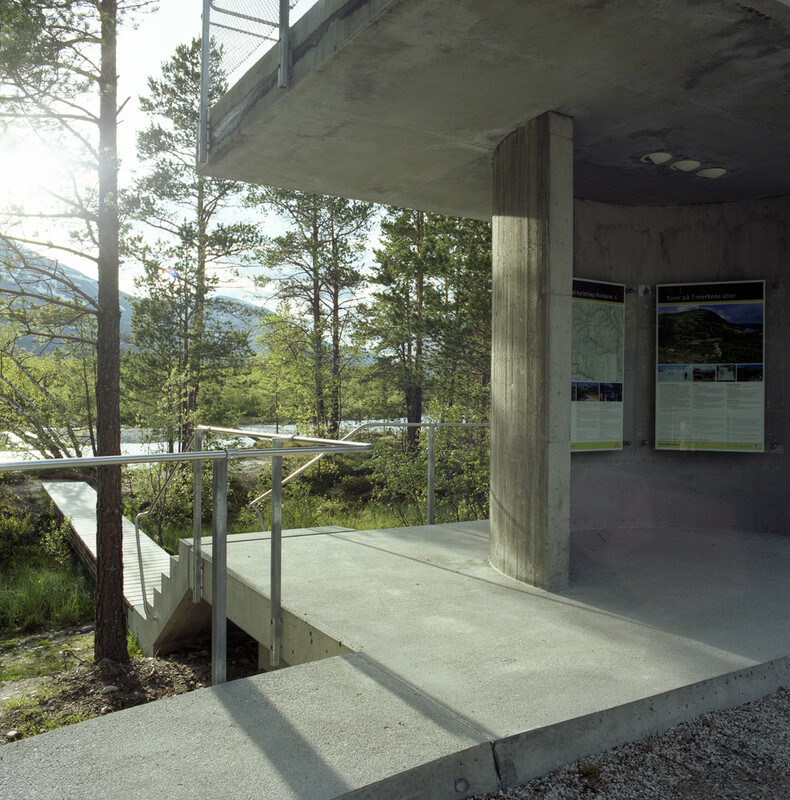 Serving as a main starting point for mountain hikers and located at the midpoint of Norway’s Rondane Tourist Road, Strømbu Rest Area by Carl-Viggo Hølmebakk gives car tourists access to the area’s beautiful scenery during a brief stop and hikers a transitional space between nature and civilization. 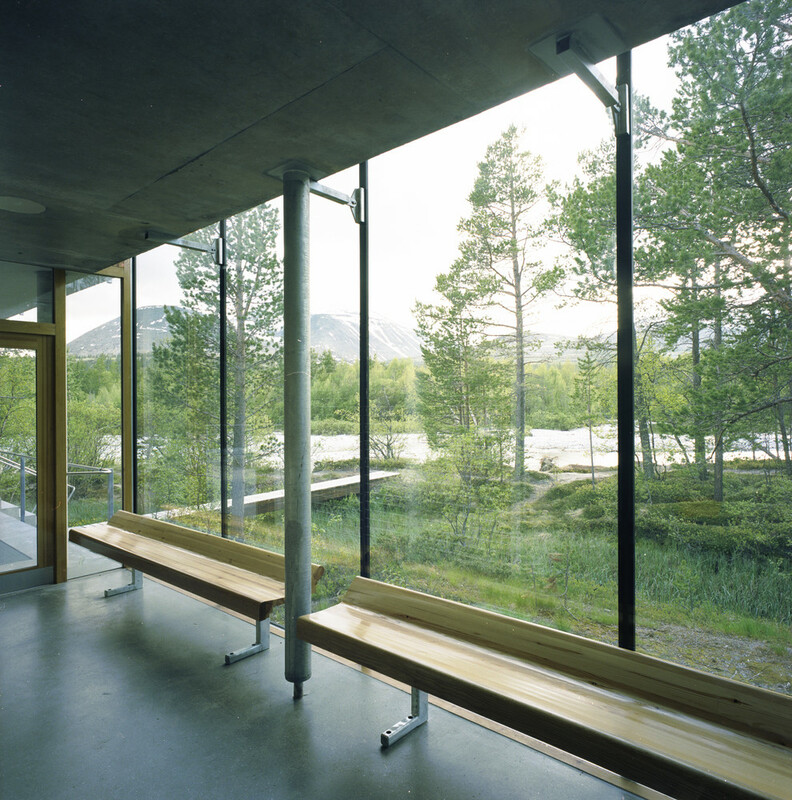 It includes restrooms, observation areas and information kiosks as well as seating areas adjacent to a fireplace. 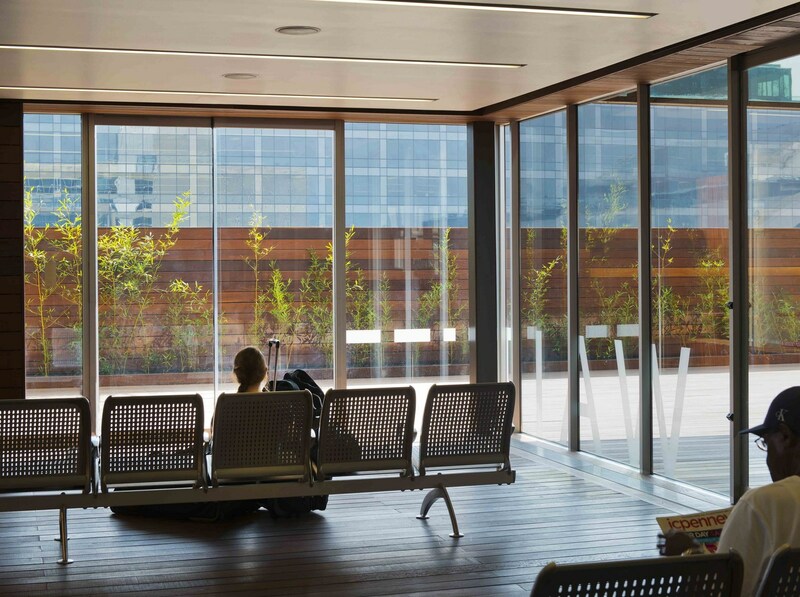 Union Station is Washington D.C.’s hub for intercity bus travel, but its transit center located in the parking garage, away from the facilities and amenities of the main Beaux Arts building. 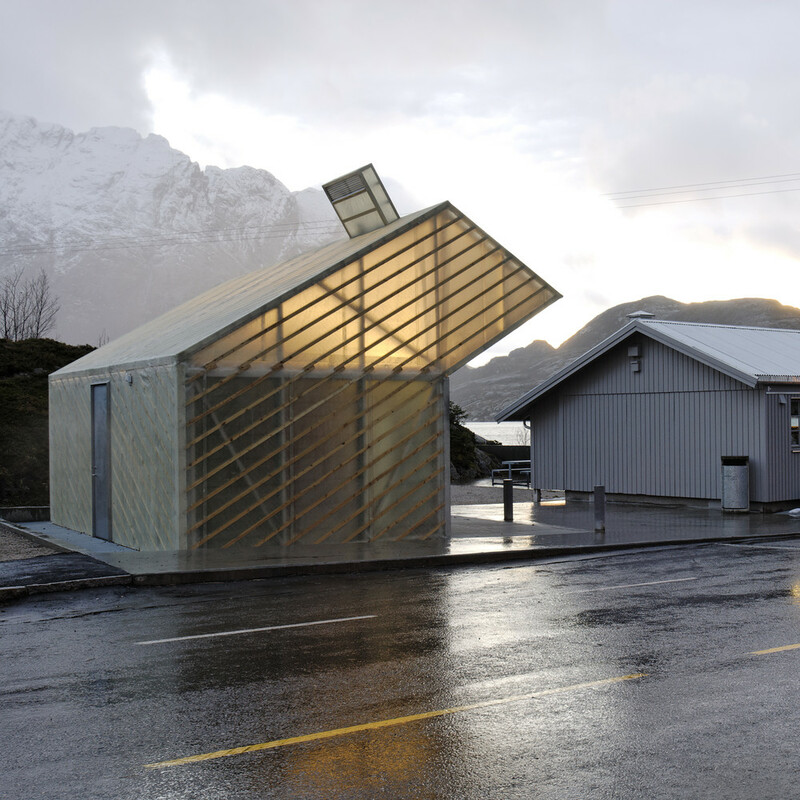 Studio Twenty Seven Architecture was commissioned to design a solution that would provide amentities to bus travelers without requiring them to leave the bus deck. 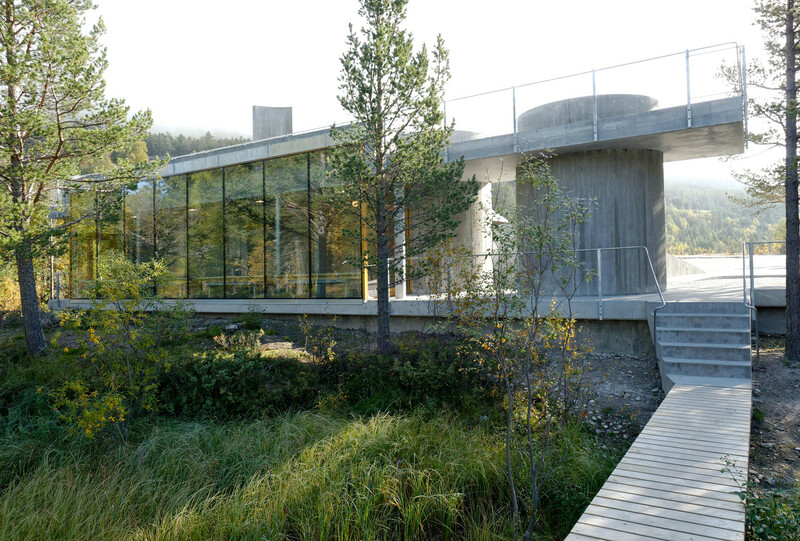 The architects used the metaphor of a Zen garden as their solution, adding three organically shaped pavilions acting like ‘rocks’ in the field. 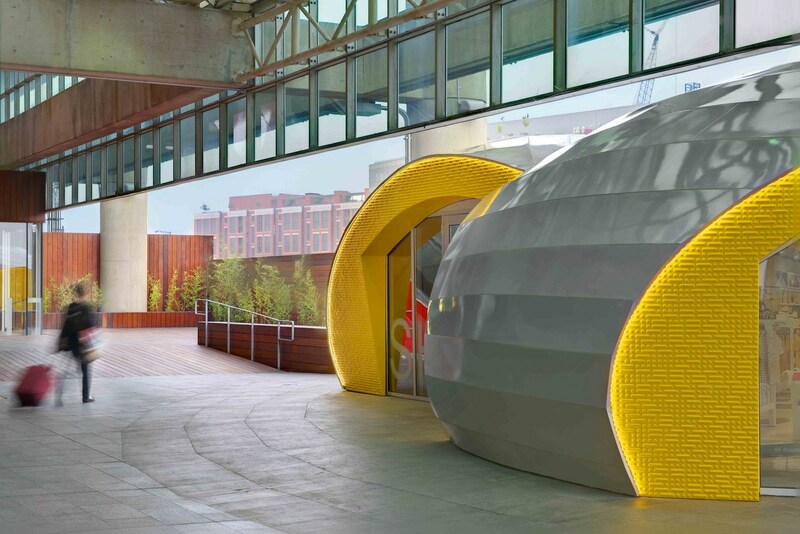 They’re made from cast fiberglass and assembled by a ship builder. 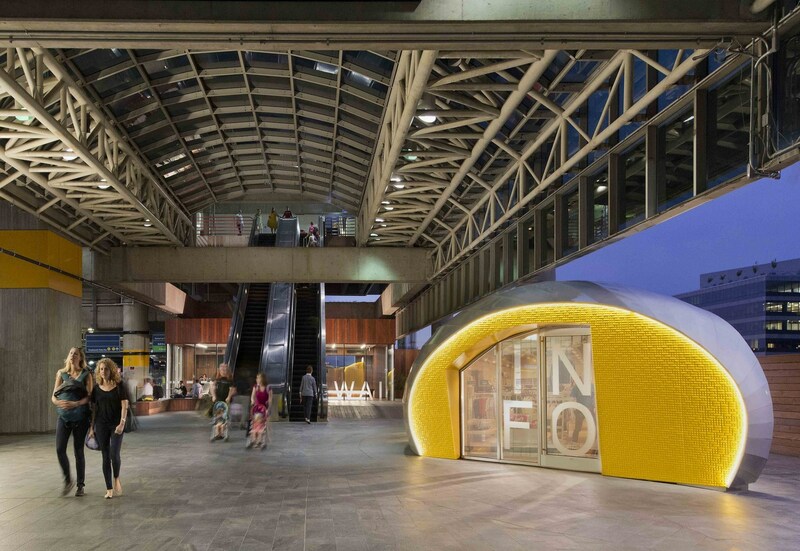 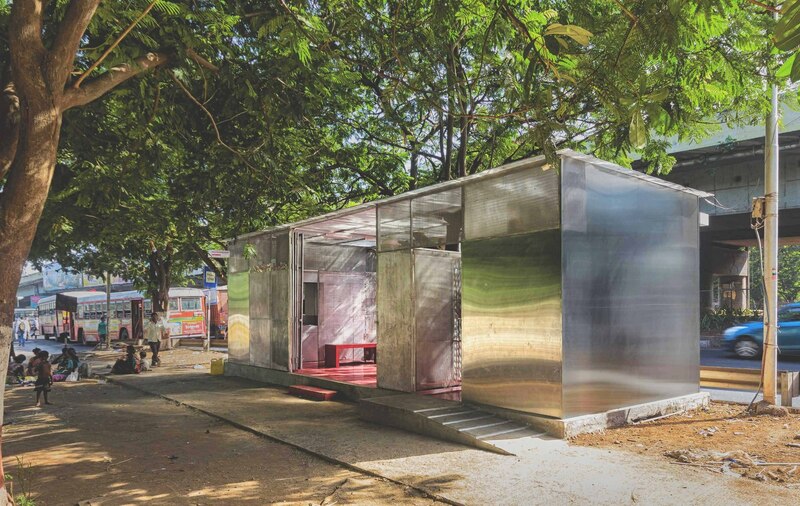 One pavilion contains ticketing and shopping kiosks, one contains a ‘meditation porch,’ and a third – more utilitarian in design, due to plumbing needs – contains restrooms. 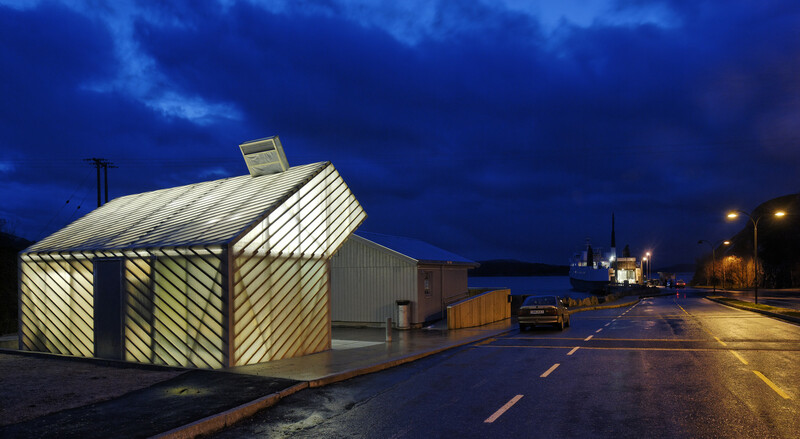 This small service building on the Jektvik ferry terminal in Norway complements the dramatic mountain range upon which it’s set with a sculptural shape and translucent cladding. 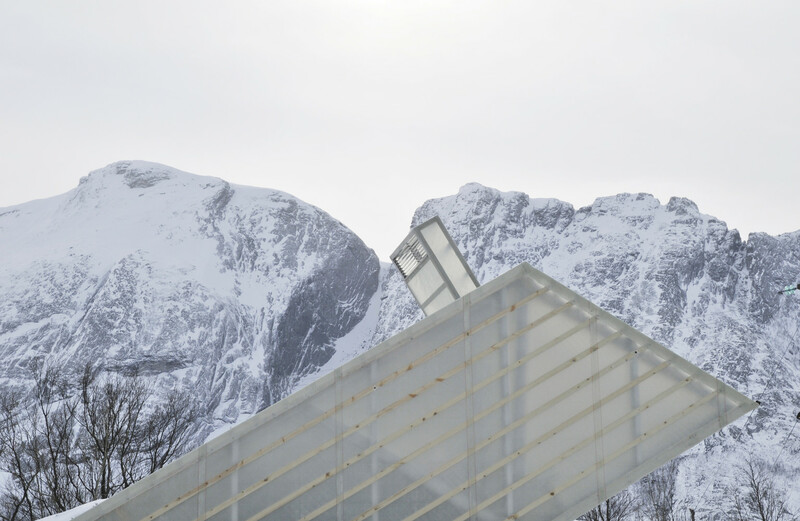 Though it contains no more than restrooms and a waiting area, Carl-Viggo Hølmebakk designed it to carefully shelter visitors from the wind, and its diagonal timber framework is based on the visual contrasts and patterns adapted for the visually impaired. 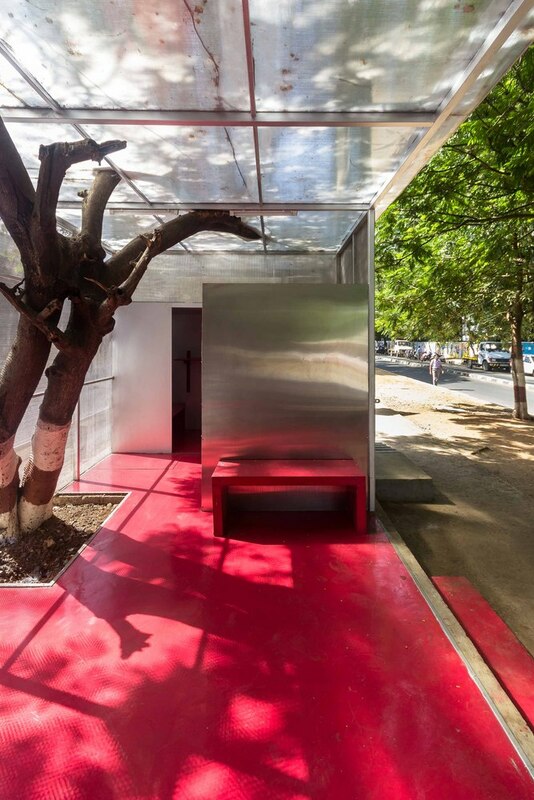 Architect Rohan Chavan created ‘The Light Box,’ a public facility in Teen Hath Naka Flyover, India that provides a a restroom and protection from the rain while maintaining a connection to the landscape outside. 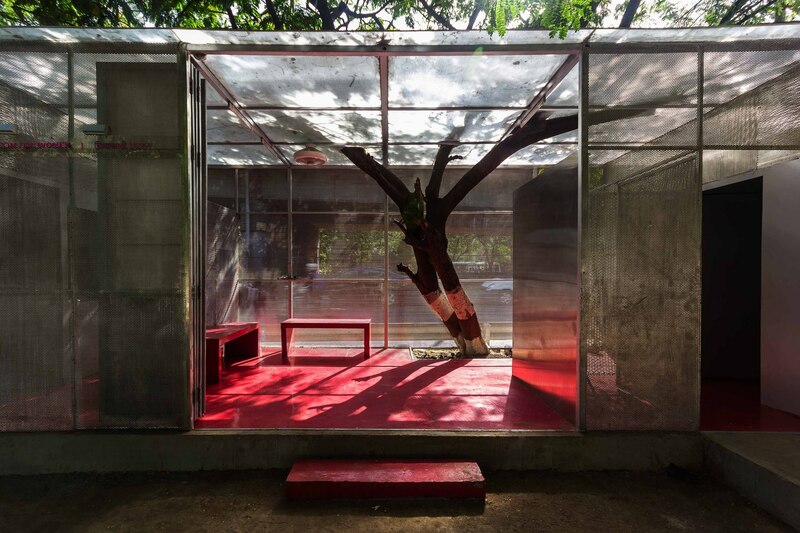 Built around a tree and specifically designed for women, the elderly and people with disabilities, the transparent structure filters light by day and makes the area safer by turning into one big lantern at night.